Obstructive Sleep Apnea (OSA) is a disorder in which patients snore and hold their breath during sleep. When a patient stops breathing the oxygen level drops, sometimes to very dangerous levels. Since our brain does not like to be deprived of oxygen, the brain sends out a signal to wake you up and start to breathe again. Patients may experience hundreds of brief awakenings throughout thier sleep. This results in poor quality sleep and excessive daytime sleepiness, even if the quantity of sleep is adequate. Patients are also at increased risk for high blood pressure, heart attack, stroke, congestive heart failure, atrial fibrillation, diabetes, and even sudden death during sleep. A recently published study has also raised an association of increased rrisk for cancer in patients with untreated Obstructive Sleep Apnea. The gold standard of treatment for Obstructive Sleep Apnea is Continuous Positive Airway Pressure (CPAP)…or the “mask”. While CPAP is virtually 100% effective at eliminating both snoring and Obstructive Sleep Apnea many patients do not tolerate or refuse to use it regularly. Until recently the primary alternatives to treatment with CPAP were limited to surgery or various oral appliances. Now there is another alternative which is even more promising and appears to have a greater response than either surgery or an oral appliance. The alternative is Provent Therapy for Obstructive Sleep Apnea. 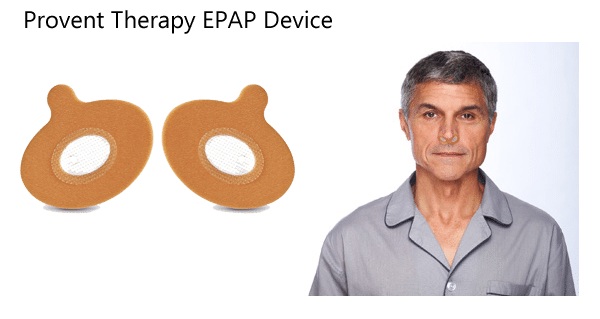 Provent Therapy is similar to CPAP in that positive airway pressure is applied to keep the airway open but differs from CPAP in that the positive airway pressure is applied only during expiration and it does not require the use of a compressor or a mask. 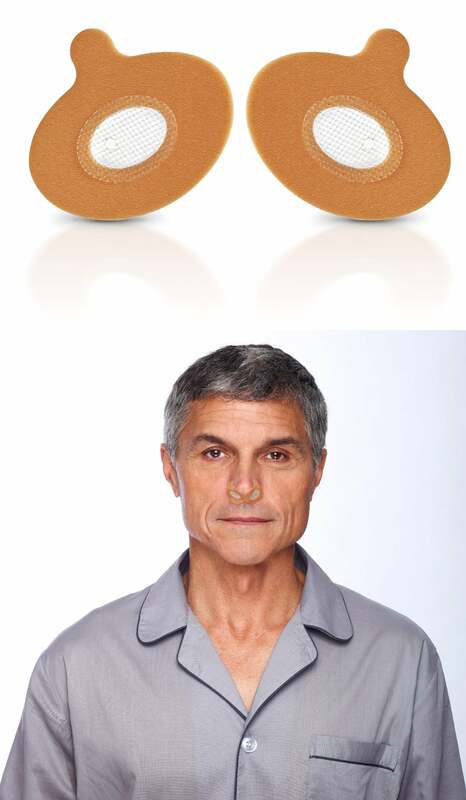 Provent is essential a very small one way valve that is inserted into the nostrils and held in place by an adhesive bandage. Patient inhale effortless as the valve opens during inspiration. However, during expiration, the valve narrows, restricting exhalation and causing pressure to back up into the airway. This expiratory positive airway pressure (EPAP) splints the airway open, reducing or eliminating both snoring and OSA. Published studies have shown that Provent can reduce the severity of OSA by 50-90% in most patients and is more acceptable to patients as a treatment of OSA than is CPAP. To find out if Provent Therapy for Obstructive Sleep Apnea Thousand Oaks might be right for you, call our office (serving Los Angeles, Malibu and Thousand Oaks) at (805) 557-9930 or use the Contact Page on this site. We’ll arrange a consultation.